Disclaimer: I was provided a free Go-Sim card for our recent travel to Costa Rica. All thoughts and opinions expressed herein are my own. Please read our disclosure policy for more information. We love traveling to remote locations and mixing in with the locals as much as we can. 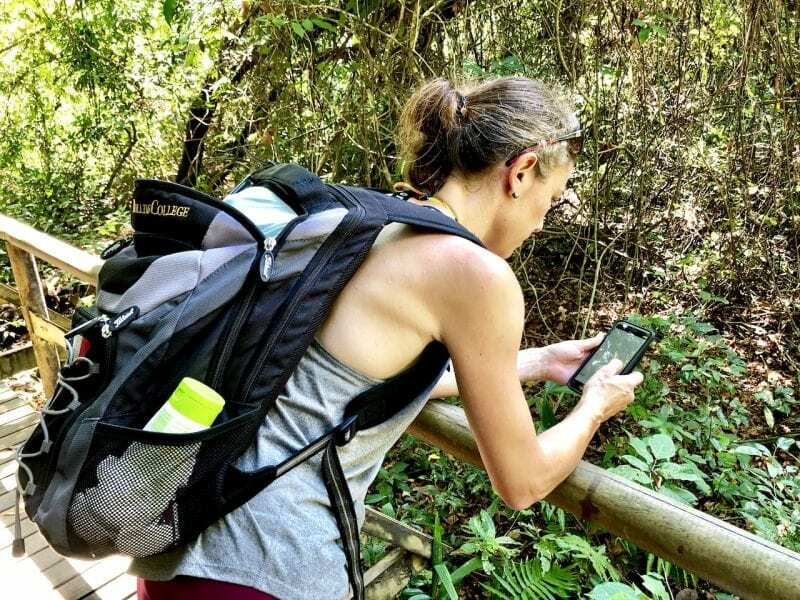 But being a travel blogger means that we need access to the internet as much as possible, and not all destinations offer wi-fi. Roaming internationally can be very expensive and if you are visiting a location for a short amount of time, it probably won’t make sense to get a local sim card. The Go-Sim concept is quite simple and a game-changer for the international traveler who needs to be connected. It is essentially a prepaid global data plan! You purchase a sim card based on the country(ies) you will be visiting. You choose how many GB you will be needing. You can add $$ for calls or more data just in case. The sim card is shipped to you or the address of your choice – you need to be able to receive it yourself however. Insert the Go-Sim card in your phone, activate it, and you are good to go! For our trip to Costa Rica, we chose to purchase the International Sim Card. It costs $17 (USD) and covers 210 countries and 340 networks. For the international traveler, it is most likely your best option, giving you the most flexibility! It comes pre-loaded with a $10 credit to cover calls, SMS, or extra data use. Once inserted into our phone, we had a European phone number starting in +372. All of our incoming calls and SMS were free of charge, and because Costa Rica is in their Zone A, we purchased 5GB of data for only $87! Our calls out were charged $0.49 per minute, outgoing SMS were $1.10, and any extra data beyond the 5GB was charged $0.25 our 100KB. Zone A covers 65+ countries, zone B covers 75+ countries (adding Canada, Belarus, Egypt, Japan, South Africa and more), and zone C covers 110+ countries (adding many Caribbean islands, New Zealand, Taiwan, UAE, India, and more)! As per its name, it is your best option if you are traveling to China. Costing $17 as well, and coming with $10 of credit, the China Sim Card can also be used in 210 countries across 340 networks. 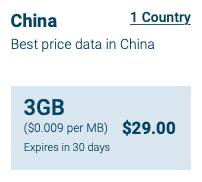 While in China, the sim card connects to China Mobile and Unicom and bypasses the great firewall. The Europe Sim Card covers 31 European countries and is ideal if you’ll be hopping from one country to the next! It provides the cheapest price for 5GB data across Europe! Just like the International Sim Card, it costs $17 and comes pre-loaded with $10 credit. Outgoing SMS are a lot cheaper than on the International Sim Card at only $0.25. 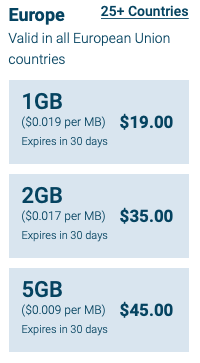 Extra data and outgoing costs are the same. 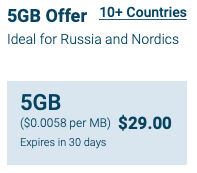 That international sim card is a special 5GB offer and ideal for the Nordics, Israel, and Russia. It covers 10 countries: Denmark, Estonia, Finland, Greece, Israel, Latvia, Lithuania, Norways, Russia, and Sweden. The data plans on all Go-Sim international sim cards are billed in increments of 100KB. Find prices for all plans HERE. If you choose the 250MB plan, you have 14 days to use your credit from the time you choose to activate your sim card. For the 500MB, 1GB, 2GB, 3GB, and 5GB plans, you have 30 days from activation to use up your credit. If you need to add more funds, you can easily re-charge your card online and the unused airtime and credit will be valid for 18 months! Once you receive your international sim card, don’t forget to activate it HERE! When we left for Costa Rica, we picked very local accommodations on AirBnB. While many of them claimed to have wi-fi, others called it “spotty” and we knew that in most places, we’d have to rely on the local networks. Having a Go-Sim international sim card saved us hundred of dollars and many headaches! We were able to research hours of operations for parks and local activities, upload to social media while in homes with no wi-fi, stay in touch with family via FaceTime, and pretty much work as if we were home. Go-Sim is a wonderful option for the frequent traveler, international traveler, or digital nomad. If you feel the need to be connected outside of your homeland, Go-Sim will give you peace of mind and flexibility, while saving you hundreds of dollars from roaming. 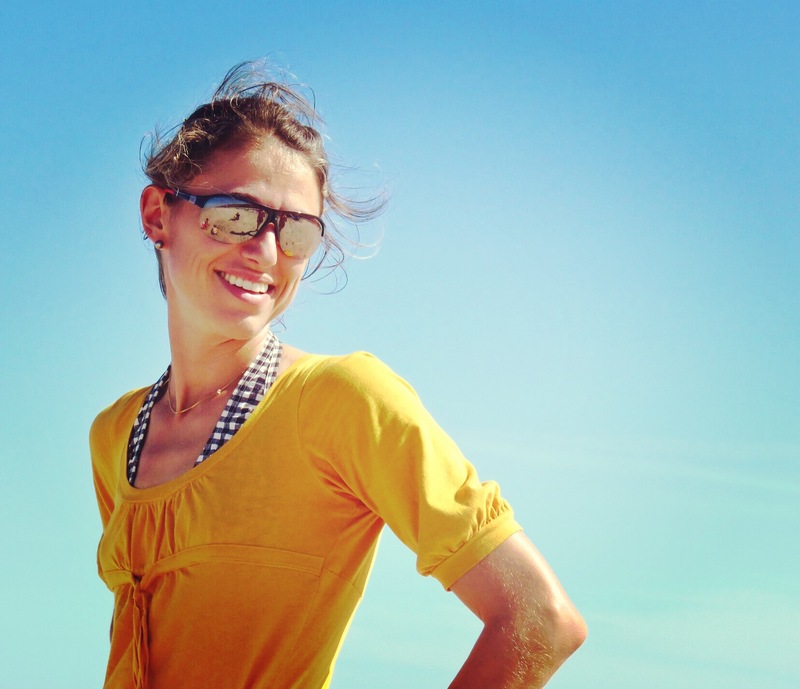 For us, it meant uploading to Instagram from this beautiful beach! 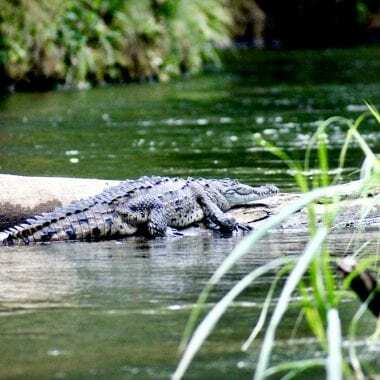 Publishing a blog post from the amazing Manuel Antonio park. And messaging our next AirBnB host from this point of view!! If you enjoy reading us, make sure to sign up for our newsletter below! That’s awesome! You’re right, it is an amazing peace of mind to have an affordable connection when outside of the country!! So very useful in so many cases! !